Campfire cooking is one of the many things that people love about the RVing lifestyle, and there is never a better time to do this than when the weather starts to cool down in the Fall. So let’s take a look at some of the best campfire recipes you can enjoy, not only eating, but also cooking over the open flame. Fall is a great time for cooking over the campfire. One of the most obvious items you can eat is S’Mores. With chocolate bars served on graham crackers and a gooey, melted, fire toasted marshmallow, this is a must-have sweet snack for any Fall RVing trip. Plus, if you want to step it up a notch this Halloween season, bring along some sugar crusted pumpkin shaped marshmallows to add that extra pop of sweet and add a level of fun. S’Mores are the perfect Fall sweet treat! As the weather gets colder, many people start wanting to enjoy warm, hearty meals, and there is nothing better than having a big bowl of steaming chili to help warm up your insides. The great thing about chili is that many families have their own recipe, and most of them have similar components of ground beef, beans, and tomato sauce with lots of additions like garlic, onion, and a plethora of spices. 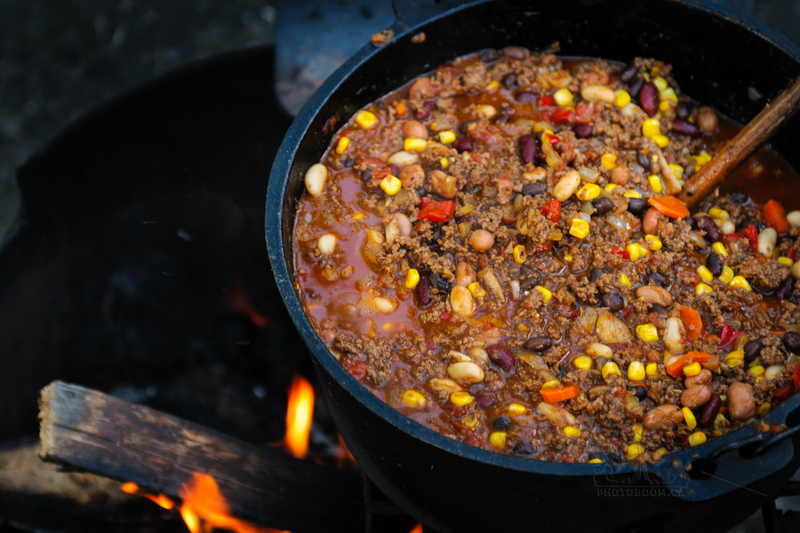 With a Dutch oven or just a large pot, you can slow cook your chili to add that extra bit of warmth to a cool fall evening. Keep warm with a hot pot of chili over the fire. 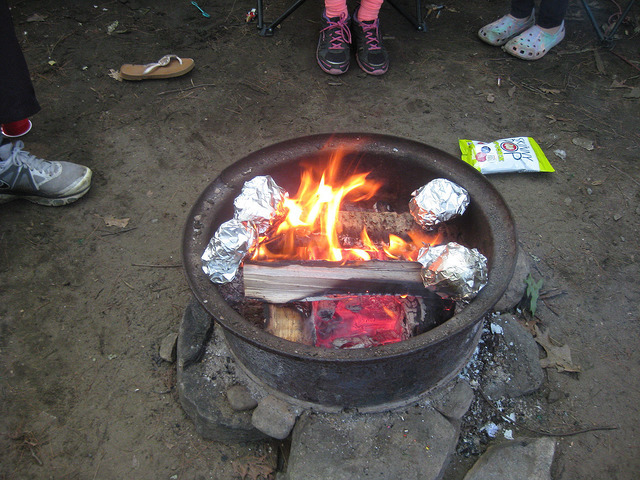 A fun and out of the box type meal for cooking over the fire is called hobos. These consist of a layer of ground beef laid out flat on a sheet of aluminum foil with ingredients like onions, hash browns, corn, peppers, cheese, and anything else you may want layers on top of it. Then, you roll up the foil to create something like a meat burrito and stuff it directly into the fire. It is so fun to truly make your hobo unique to what you would want, and they are incredibly tasty. Hobos cook right in the fire! 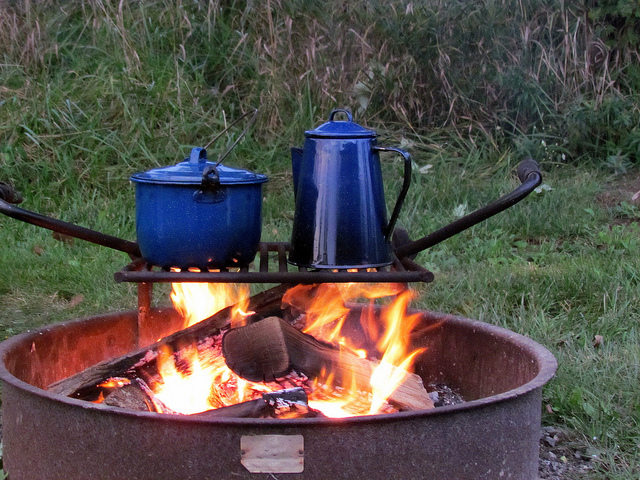 RVing during the falls lends itself to you enjoying a lot of time by the fire sitting and cooking. This fall season, be sure to contact us to find out how you can get the fifth wheel, travel trailer, or motorhome that will give you a perfect place to rest and relax in the great outdoors. We have tons of RV options on our lot, so you can also stop by our location to find the right one for you. 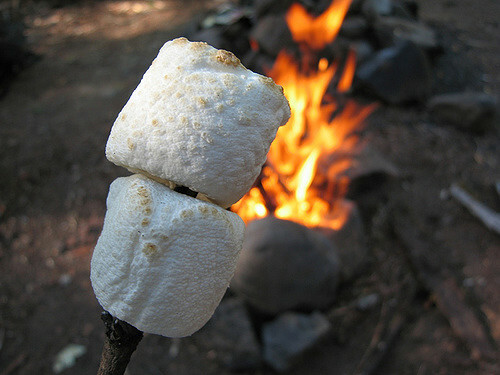 Then, you can get out in nature and enjoy many amazing campfire meals.